Home / Health & Fitness / GWYNETH PALTROW DIET: LIVING THE LA LIFESTYLE. GWYNETH PALTROW DIET: LIVING THE LA LIFESTYLE. Dragging myself out of bed at 6am, I stumble into my gym gear and head to my front room with bleary eyes. With a super-long work day ahead, I need to fit in some of my prescribed two hours of exercise before I leave home, otherwise I’ll already be off track. 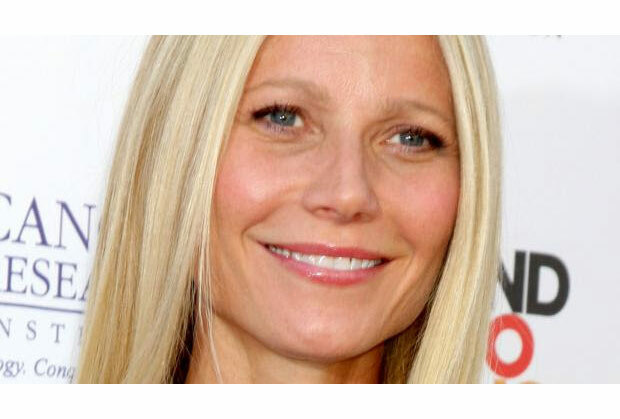 Gwyneth is a Tracy Anderson Method devotee, crediting the LA-based PT with turning her self-proclaimed ‘saggy arse’ into the ‘arse of a 22-year-old stripper’. Methodtrained practitioners are available for home visits in London, but not in my neck of the woods (I’m more Beckenham Hill than Primrose Hill), so I settle for Anderson’s latest DVD offering, Metamorphosis Omnicentric (£98.95), consisting of one 30-minute cardio dance routine and nine 30-minute toning ones. I try to follow the cardio workout as best I can, but the footwork is ultra-fancy and my arms flail about hopelessly. I hit the shower feeling deflated, but cheer up when I remember that, for the next six days, all my meals will be prepared and delivered to my front door by the award-winning food service Nosh Detox (£47.27 a day). I don’t have to be in the office until 10am, so do my two hours of exercise in one hit. The only problem is I’m starving, low on energy, aching in places I didn’t know existed and would rather do anything (eat, sleep, cuddle up with a Chris Martin lookalike) than exercise right now. Today’s cardio DVD isn’t any easier, and two toning workouts straight afterwards leave my legs trembling. I’m going to be experiencing a whole new world of pain tomorrow, but as the day progresses, that becomes the least of my worries. 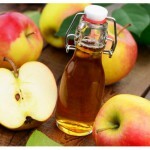 Gwyneth’s diet is free from gluten, wheat, dairy, eggs, corn, sugar, red meat, caffeine and alcohol – many of the things I love – and, while my Nosh Detox meals are delicious and delightfully fresh, chomping through an enormous plate of salad for lunch and slurping on smoothies and soups proves a huge shock to my system. My cravings are endless, and an evening out with friends becomes a miserable experience as I watch them devour cheesy chips washed down with wine, while I stick with water in order to hit my recommended two litres. I miss much of the conversation with my endless trips to the loo, and hit the sack feeling utterly deprived. Getting out of bed, I’m surprised by the sight of my super-flat, bloat-free stomach. Stepping on the scales reveals I’ve lost four pounds. Giving me a much-needed boost, I power through Anderson’s cardio workout (which, thankfully, has become a bit more doable) and two tone-up workouts. My supportive daily email from Nosh informs me I’ll be eliminating physical and emotional toxins today as part of the detox process, and should be mindful of what I put myself through. Sure enough, a busy work day proves more stressful than normal, and by the evening, I’m feeling weak, light-headed and questioning whether what I’m putting my body through is really worth it. Wonderingwhat Gwyneth would do in this situation, I decide to meditate (she does at least five minutes a day). Ignoring my bombsite of a flat, a washing basket overflowing with workout gear and the mounting desire to hire a cleaner, I breathe my way to a calmer, more focused place, and head to bed early. I’ve booked myself in for a pre-work blow dry at top London hair salon, Mahogany. My talented stylist Jack transforms my hair from drab to fab in 30 minutes, and I leave with the biggest, bounciest, light-as-a-feather hair ever, and a massive spring in my step. My good mood doesn’t stop there. I’m starting to love the healthy, fresh food I’m eating, and cravings have vanished. After work, I enjoy another treat in the form of a Crystal Clear Microdermabrasion facial (Gwynnie’s fave) at The May Fair Hotel’s ultra-swish spa (£60 for 30 minutes). My therapist Kerri sweeps a mechanical device over my face to deeply exfoliate the outer layers of my skin with tiny crystals, reduce blemishesand increase collagen production. I leave feeling deeply relaxed, with silky smooth, blackhead-free skin. So this is what theA-list life is really all about. Incredibly, I’m another pound down and can see a noticeable difference in my body tone. My body is sore, but with a busy day ahead, I’ve no choice but to hobble though another two hours’ worth of workout DVDs. I feel exhausted at work but plough on, knowing tomorrow is Saturday and I won’t have to juggle exercise with work for two whole days. At lunchtime, I make my way to The Joshi Clinic for a cupping appointment with the holistic guru in Gwyneth’s life, Dr Joshi. Rather than having the kind that leaves circular bruising on my skin – as Gwyneth famously sported at a film premiere back in 2004 – Joshi uses a different technique on me, one that’s designed to stimulate blood flow to stubborn fat or cellulite (helping it to liquify and dissolve), and increase my metabolism and ability to detox. He suctions small plastic cups to my tummy and massages away vigorously. Afterwards, I’m surprised to find the texture of the fat on my stomach is noticeably improved (the technique can also be used to re-sculpt other trouble zones, such as arms and thighs). Next, I’m ushered into another room, this time for a mixture of osteopathy and hot stone massage with Tommi. Emerging 45 minutes later – feeling a foot taller and totally refreshed – I’m ready to get stuck back into work before the weekend arrives. After another early night, I wake up refreshed and full of energy. Yes, I’ve lost over half a stone in five days, but the biggest difference I’ve noticed is to my mood. I’m feeling positively perky and cool as a cucumber. Maybe Gwynnie is on to something with her clean-living lifestyle, after all? This morning, I’m ditching my Method workouts to try something a little more fun, in the form of anti-gravity yoga. While Gwyneth stopped doing more traditional forms of yoga a few years ago, saying it made her body ‘boxy’, she’s not one to pass over a new fitness trend, giving it the thumbs up on Goop after trying it earlier this year. As I contort myself into positions and hang upside down in a hammock suspended from the ceiling at Virgin Active Classic Health Club Kensington, I realise how lovely it is to be back in a group exercise environment, but I’m secretly relieved I remembered to blob on some nail varnish the night before. The class itself is seriously challenging – physically and mentally – but in a good way. I leave feeling elated, open and like I’m floating on air. For the rest of the day though, the thought that I need to do some cardio work gnaws away at me until, finally, I decide ‘sod it; I like the calm place I’m in and don’t want to leave it’. After a lovely lie-in, it’s with a sense of relief that I embark upon my last two-hour exercise session. Food wise, I’m on my own today and the idea scares me. For help, I turn to Gwyneth’s latest cookbook, It’s All Good (Sphere, £20), which is packed with recipes omitting many of the foods she bans from her diet. The only problem is my brother, sister-in-law, niece and nephew are visiting. Can I really inflict my diet on them? Gwyneth has famously bragged she has carb-free kids, but I’m not so sure it’d be fair on five-yearold Florence and three-year-old Henry, even for one day. Luckily, there’s a recipe for a risotto with peas and greens (cutting no-no’s such as butter, cheese and alcohol) that should work for everyone, and I decide to follow this with Gwyneth’s gluten-free sweet potato and five-spice muffins for dessert. Hours of peeling, mashing, whisking and baking later, everyone happily tucks in to their mains. The grown-ups raise eyebrows when they learn what’s in the muffins, but I’m astounded when the kids come back for seconds. Once everyone’s left, I settle down to meditate. My thoughts are mixed as I reflect on the everything I’ve experienced over the past week. While I’m slimmer, more toned, have glowing skin and am noticeably calmer and happier, I’ve hardly seen friends or family, had no chance for any activities other than exercise and zero time for chores. And while the pampering has been sublime, I can’t help feeling a little selfish that so much of my time has been dedicated just to me. Yes, I’ll definitely be sticking to eating more fruit and veg, and I now know that I can make time for exercise four or five times a week (albeit for a more realistic 60 minutes), but life’s too short to deny myself every pleasure going – even for a six pack.